When child support payments start to become inconsistent and undependable, this problem tends to persist and get worse over time. This cycle is likely to continue because once a parent falls behind, getting caught up is often quite difficult. On the other hand, parents with primary responsibility for a child are left to figure out how to manage without this needed money and hope that the impact on the child is negligible. 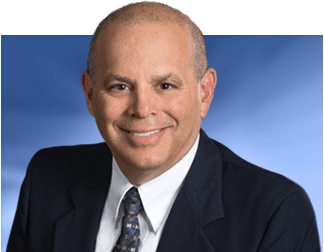 The state has an interest in making sure parents pay child support obligations, and Florida law includes a number of methods used by the courts and the Department of Revenue (Department) to ensure that timely collection occurs. The methods of enforcement even include placing a parent in jail unless a certain amount of the overdue child support is paid. However, these parents still have rights, and a recent story in the Florida Times-Union highlights that parents on both sides of child support disputes have interests that should be protected, including the right to receive the proper legal process before being sentenced to jail. In the end, though, the child is often the loser if child support does not come, and this fact plays a part in why child support enforcement is taken so seriously. A discussion of the options used to compel delinquent parents to pay overdue child support will follow. When a court issues an order related to child support, an income deduction order can also be included to make the collection of payments easier to track and enforce. The purpose of these orders is to take the obligation to physically deliver payment out of the hands of the parent, and place it with the parent’s employer. Income deduction orders direct the parent’s employer, present and future, to withhold the court-ordered amount from each paycheck, and transmit that money to the State Disbursement Unit, which is the state entity charged with collecting and distributing child support payments. Income deduction orders are usually in effect as soon as they are ordered, but for parents who have private child support arrangements, not uncommon following divorce, income deduction orders are typically not issued. In this situation, the parent receiving payments will need to ask a court to issue an income deduction order once delinquency occurs. 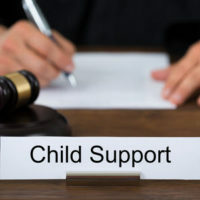 Once triggered, they remain in effect as long as the underlying child support order is enforceable, or a court orders suspension or termination. Obviously, these orders are only effective if the parent is regularly employed, so other ways to compel payment were created. if payment is still not received, a request to suspend the parent’s driver’s license is sent to the Department of Motor Vehicles. Child support not handled by the State allows a parent to directly initiate a license suspension after payment is late by 15 days, and skip the first two steps. hold the parent in contempt, which puts the delinquent parent at risk of incarceration if some effort to become current is not made. The Department can also elect these enforcement options, and some additional options related to seizing income tax refunds and other sources of income, among others. However, going through the Department will add considerable time, and likely frustration, to process. Using a family law attorney to enforce child support delinquencies should lead to a much quicker resolution. Parents rely on child support payments, and if you are having issues with receiving them, contact a family law attorney to discuss your legal options. The Tampa law of Bubley & Bubley, P.A. 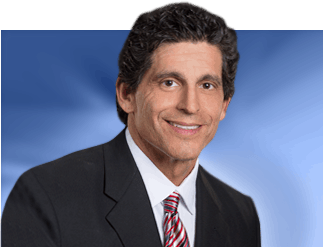 understands how important child support is to your family, and is available to help you. Contact us to schedule a consultation.